Now a days Facebook and other social media networks have become very important for people to get connect with their friends and family. And these have stored many personal information. People are very curious to secure their social networking accounts so no one can misuse their their social networks. 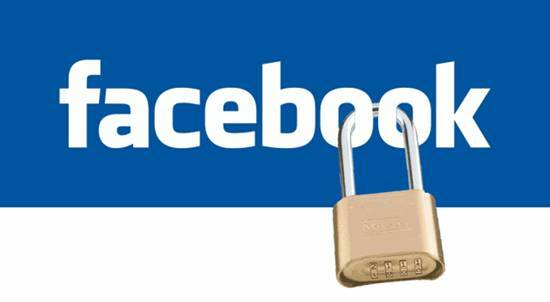 Here are few very effective and simple tips to make the security of your Facebook account fool proof. If you follow all these steps, your Facebook account will be secure. Don't use your Facebook password on any other website. Avoid including your name, nick name, date of birth or common words. Your password should be difficult to guess. It will use your phone number to add an extra layer of security to prevent other people from logging into your account. You can enable it from Account Setting ---> Security and Login---> Setting up Extra Security --> Use Tow-factor Authentication ---> Text Messages. A code will be sent to your registered mobile number when you or any other person will try to login your account. So you will have to enter this unique code and your password to get access to your account. Enabling this will help you to protect your account when some one try to access your account. You can enable it from Account Setting ---> Security and Login---> Setting up Extra Security --> Get Alerts about Unrecognized Logins. When someone login to your account you will get notification on Facebook via text message and email. Facebook will let you know if anyone logs in from a device or browser you don't usually use. Always add 3 to 5 trusted contacts on your profile. These trusted contacts will send you a code and URL from Facebook to help you to recover your account. Only add people you know in your real life. Trusted browser is a very helpful. You can review your authorized browsers any time. It is advised to remove old logins. Most hackers use some apps to access your account. If you have any unknown app then owner of that app have access to your account. So its better to remove all unknown apps now and never accept any 3rd party apps on Facebook. You can see a list of apps, whom you have given permission to access your Facebook data, by visiting "Apps" tab under "Settings". Delete all unwanted apps. Never ever share your Facebook email address and password with any one, even with your friends. Just hide it from everyone. You should be the only one who knows it. This is most important tip for you all. Never click on any link if someone send you via email or messenger. He/she will say you to click and get thousand of followers, get thousand of likes Blah Blah!!!. Never trust them. They all are scam. If you click then they will get your all info through that link and this process is called phishing. Never enter your Facebook email and password any where else Facebook. Also don't enter your id and password on spam links. If you are using any auto likes or auto comments website than leave it now and remove their app from your Facebook account. Because they all have access to your account every time. They can change every thing of your account any time. Final Words: I Hope you will save your Facebook account from hacking after applying all these things. If you think i missed any thing or you have any problem while doing this then feel free to comment below and please share it with your friends thanks.